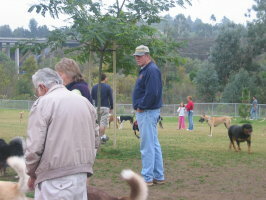 Visit our 'Events' page to view photos from all our past events at the dog park. We ask that people do not use the dog pens during the raining weather, similar to our ball fields. This is for the safety of the users and so that the pens are not over stressed. We appreciate your cooperation in this matter. 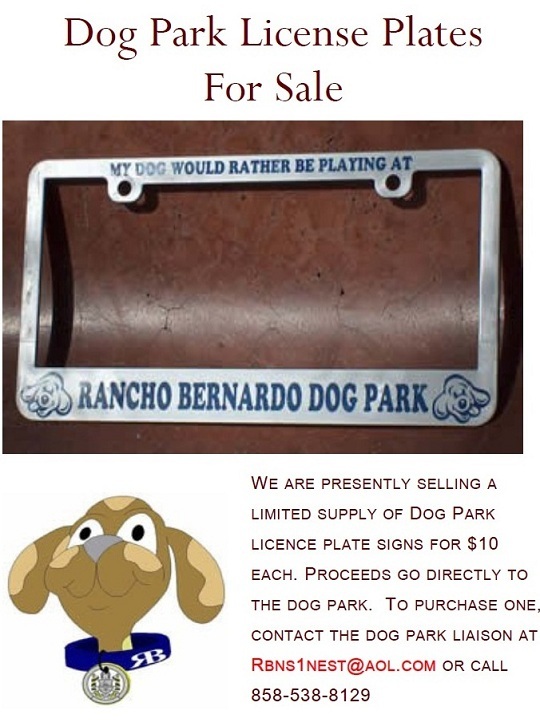 If you have any questions or concerns, please contact our Dog Park Liaison, Robin, at Rbns1nest@aol.com or our office at 858-538-8129.